Another weekend, another collection of items. 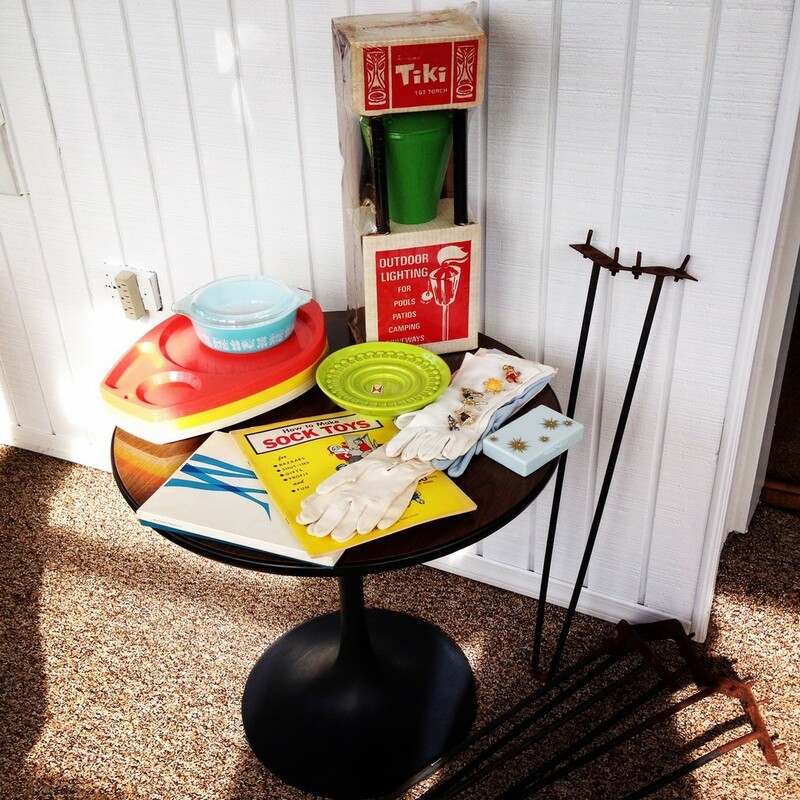 We picked up a ton of smalls – it was a vintage barware and tray sort of weekend here in the Steel City! 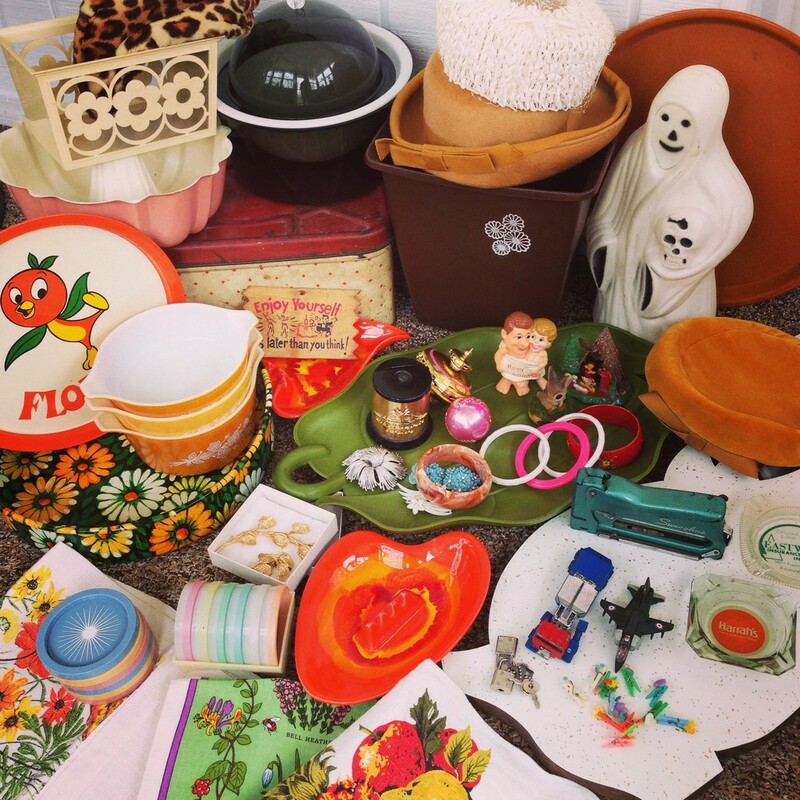 We’ll be bringing these trays to the shop soon – including a fantastic 1970s Disney Orangebird Florida serving tray. We also picked up some tea towels, costume jewelry, toys (Arlo loves finding GoBots! 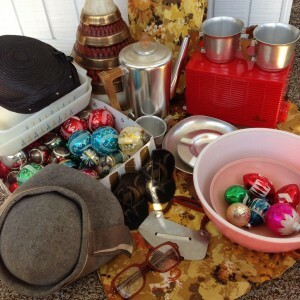 ), a great 1970s ice bucket, some ashtrays, hats, and a Formica cutting board shaped like a pig! 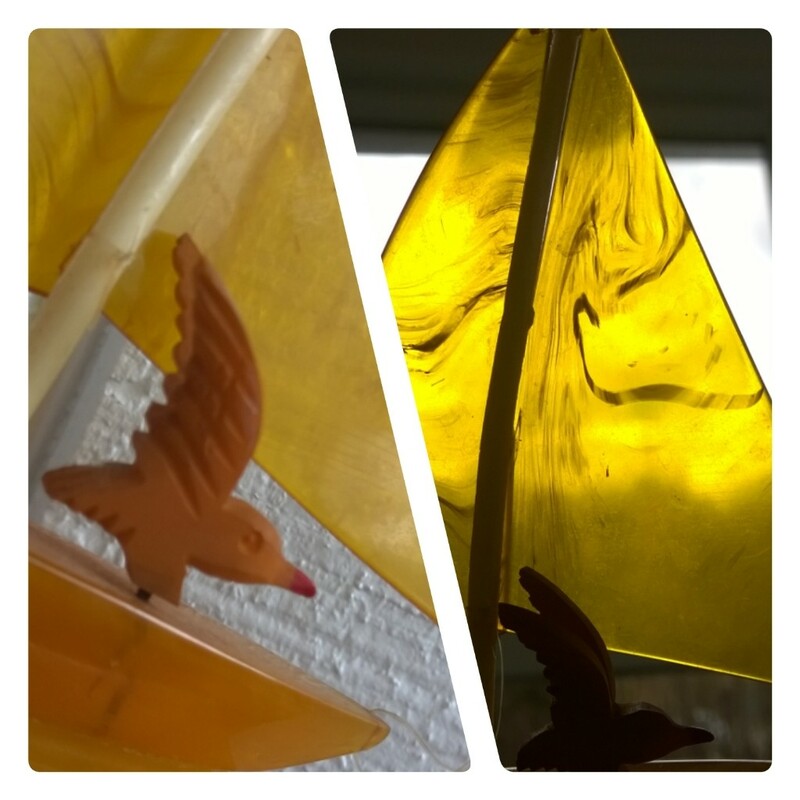 We love blow mold holiday figures, so we’ll be keeping the cheerful Halloween ghost. Keep an eye out as we get new items in the shop, and as always convo us if we post a picture of something you’re interested in! Today’s Treasures: Shiny Brite Aluminum Goodness! 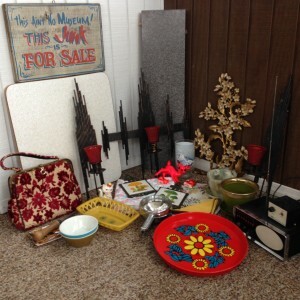 We had a great weekend treasure hunting, and found some amazing items. 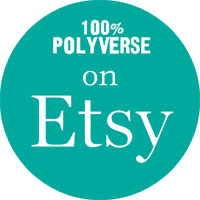 We’ve been so busy getting ready for flea market season that it’s been hard to get things into our Etsy shop! 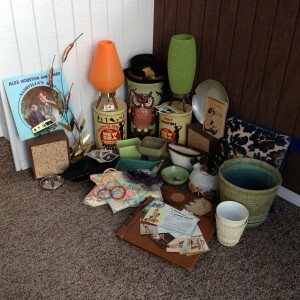 Even though we’re running a little bit behind, I had to share a picture of some of this weekend’s finds. We picked up a whole box of Shiny Brite and West German ornaments from a delightful elderly fellow who was cleaning out his basement. I also bought yards and yards of floral 1970s fabric from him. I’m going to use it for new curtains for our ’72 Shasta Trailer. We’re always buying melamine and Pyrex, and got some lovely pink pieces for the shop. There was a great old KitchenAid mixer for sale there too – I had to resist. We visited an antique store in New Kensington, PA, Birthplace of the Aluminum Industry, and found a complete Lurelle Guild designed Mayfair coffee service tucked away in a corner. It was surrounded by the most Kensington Ware we’d ever seen in once place – which makes perfect sense, because where else would it wind up? We picked up a bundle of Kensington Ware, including the Lurelle Guild set, as well as two lovely hats for the shop. Right next door is the storefront of Fresh Heirlooms, a fantastic little store that sells housewares with a repurposed, funky flair. There we met Joe and the shop kitties, and I bought a BEAUTIFUL cherry red 1950s Sylvania radio for my kitchen. If you’re in the area hit them up, we loved their shop and can’t wait to visit them again! And if you’d like to come visit us, we’ll be at the Allegheny-Kiski Valley Historical Society Fleatique on May 18, weather permitting. We’ll have melamine, lamps, furniture – there’s something for everyone in the Polyverse! 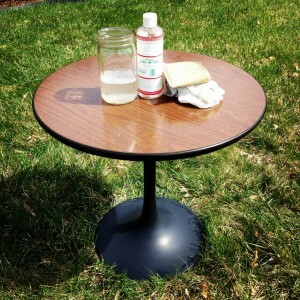 Our new Burke tulip table has a bath with the help of Dr. Bronner’s Sal Suds. All One! Yesterday was a beautiful sunny day. We started out early – we saw an estate sale listing that was advertising a tulip table. We’ve been hunting for one of these for a while – we have three white tulip chairs, and have been looking for a matching table. Our chairs, while beautiful, have no maker. We believe they’re by Fiberform – we have other Fiberform chairs that are marked, and our tulip chairs have the same mold. Saarinen sure made a classic design – even in the 1960s and 1970s, these chairs were copied by several different makers. The sale started at 8:00 , and we were there at 7:50, taking our place in the line that stretched down the house’s front steps and out onto the sidewalk. We don’t like to go to sales early – it can be overwhelming to get caught up in a crush of avid junk hunters. We tend to stroll in later in the day – or better yet arrange a private appointment – when we can be the only people in the house and really talk with the sellers and the family. But if you tell me there’s a tulip table, I’ll show up early! Look for some of these goodies in our shop! The Tiki Torch is the coolest. We were among the first people in the house and we split up to quickly walk through the rooms, looking for the table. Tulip tables are hard to miss, so this should have been easy. But – not in the dining room. Not in the kitchen. Not in the basement – we frequently find some of the best pieces in basements, where they’ve been put into storage. Where was it? How had we missed it? We reconvened in the living room, neither one of us having found the table. 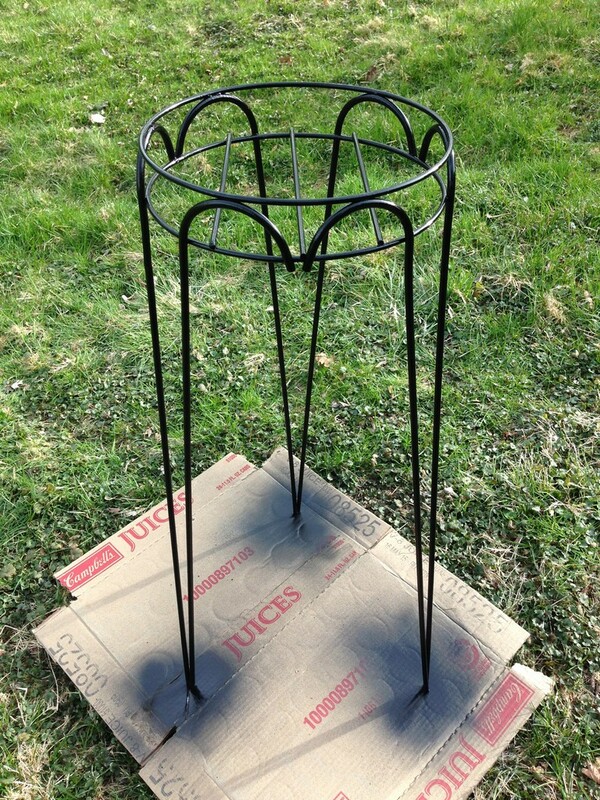 A little Rustoleum goes a long way! Arlo saw it first. And we knew why we hadn’t noticed it until then. It was small, black, and hidden beneath other items in the corner of the living room. Not the white dining room table we’d been hoping for, but a small black-based side table we hadn’t been expecting. We cleared all the items off the top, moved it out, flipped it over, saw the Burke name on the bottom, and knew we’d be taking it home. 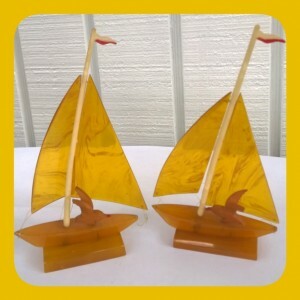 We brought home some other great items, too, that will be making their way into our shop. We found an original Tiki Torch, still in the box. We also got some lovely ladies’ gloves and stockings and some kitchen items. We’ll get them posted as soon as we can. After we cleaned off the Burke end table, we took advantage of the sunshine and tackled another project we’d been looking forward to – repainting a hairpin leg plant stand. The original paint had flaked off and the whole thing was a rusty mess. It looks so much better now! All in all, another great day in the Polyverse! So much goodness, it barely fits in the picture. We had another great weekend out and about looking for vintage treasure! The weather was lovely, the people were friendly, and we found some great pieces. We have a midcentury home, so we’re always pleased when we can find anything that will fit our design scheme – and yesterday we found two exceptional beehive / bubble / tripod lamps – they are really too cool! We also picked up a fantastic photo album, some Lawnware, McCoy and Royal Haeger, Kensingtonware, and assorted other goodies. We got a lot of great items for the shop – we just know you’ll love them. We’ll get them posted as soon as we can!